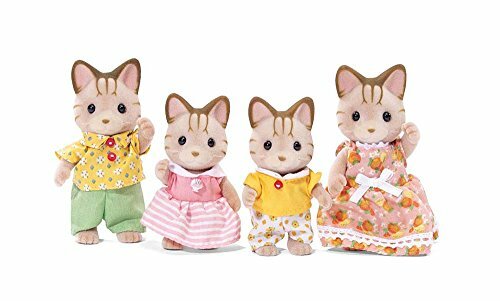 My daughter continues with the Collection of Calico Critters, and why not. 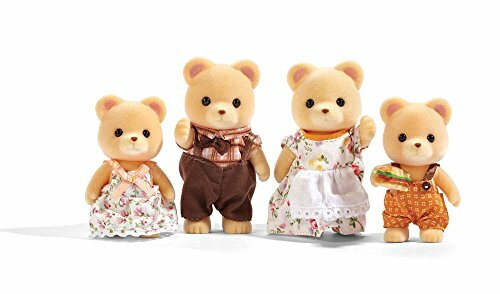 Calico Critters is a beautiful collection set. I love the details and quality of this wonderful toys. 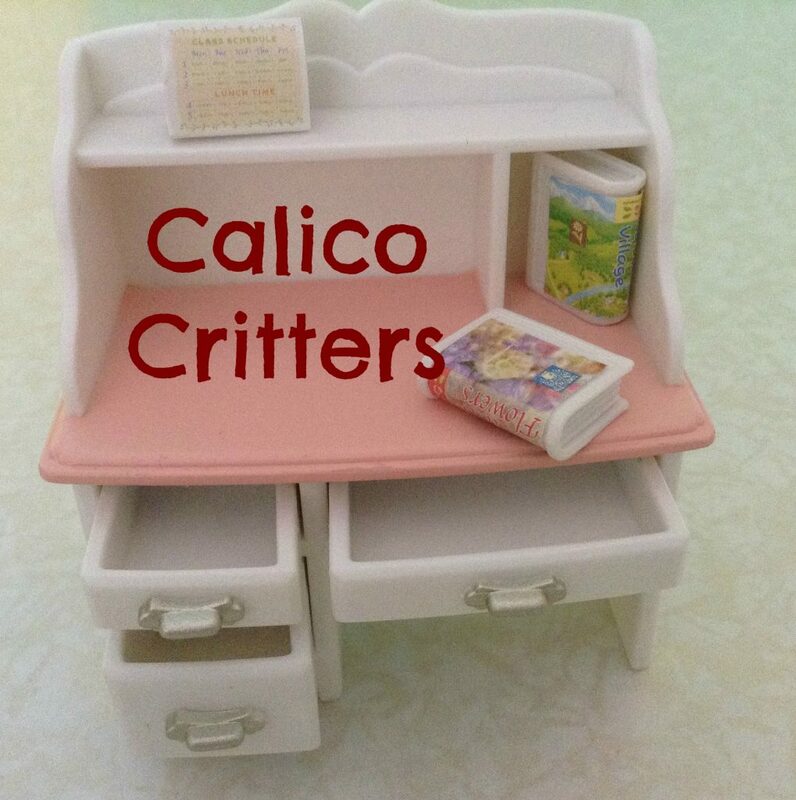 This time my daughter got the Calico Critters Girls Bedroom Set. 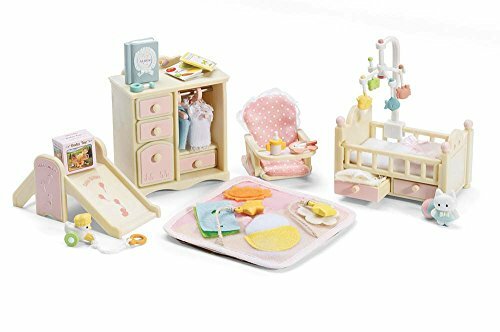 If you do not know about Calico Critters, they are a collection of miniature animal figures and lots of accessories, like houses, cars, schools, restaurants, shops and lots of furniture like this little girls bedroom sets. 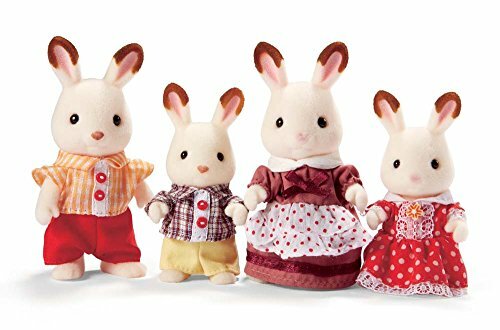 Calico Critters as known in the USA, is known as Sylvanian Families in the rest of the world. 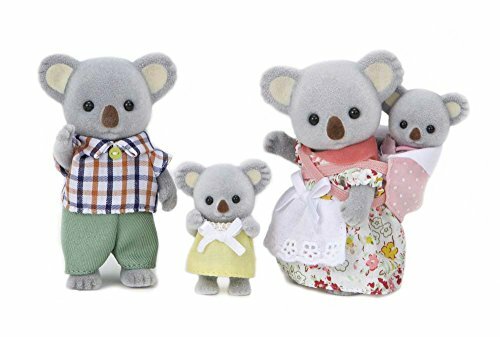 This wonderful toy set was introduced to Japan in 1985. and has since spread throughout the world. 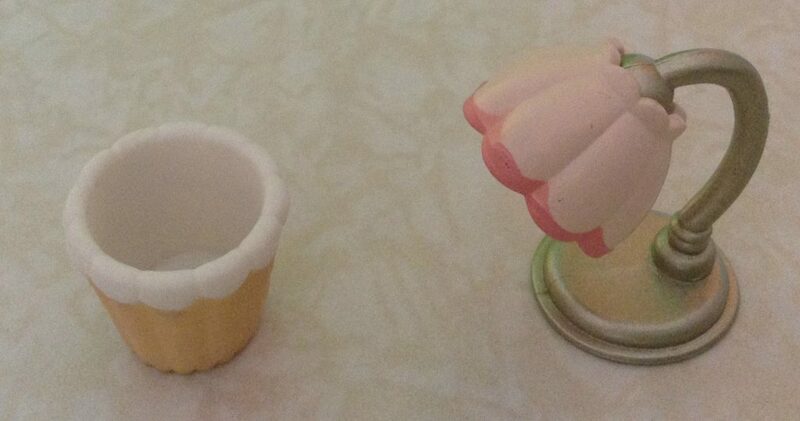 The quality of the Calico Critters set is very good. I love it because they put lots of details into it. Even the smallest item has lots of detail into it. The designers really deserve recognition for it. 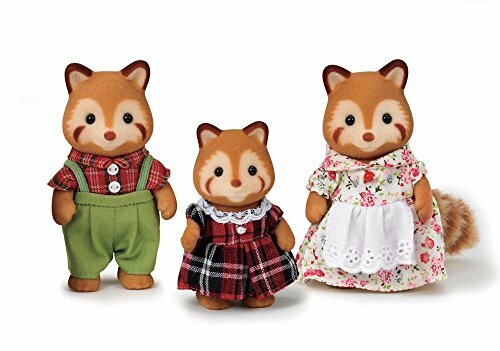 The Calico Critters set has many accessories and families. Lots of furniture to collect and we hardly have any. 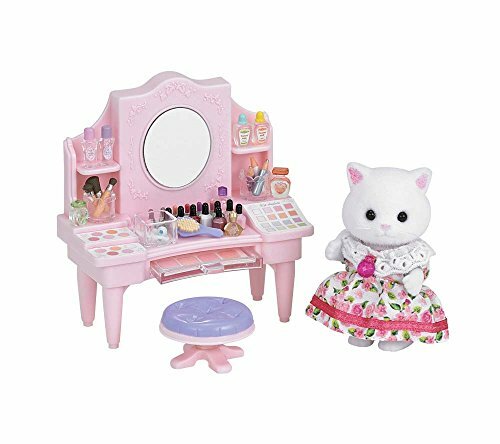 This one is the Girls Bedroom Set. 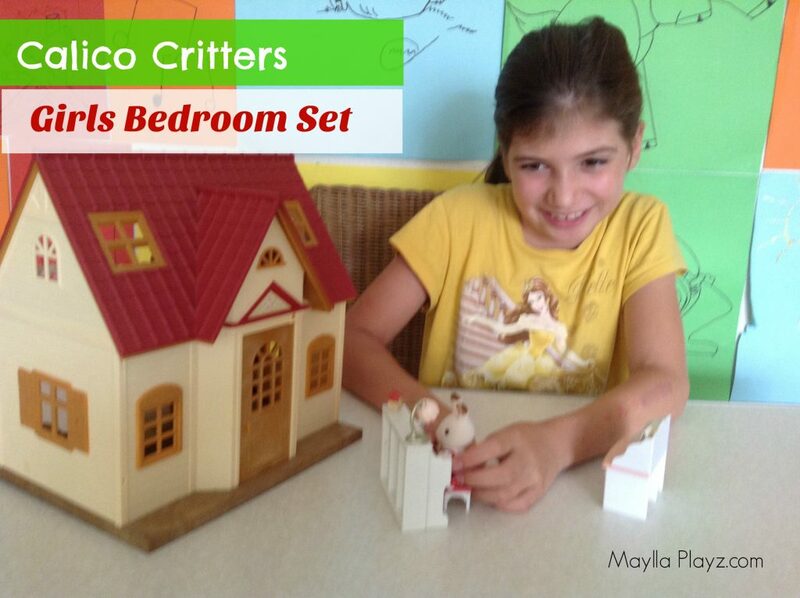 Depending on where you live you may get different items in the Girls bedroom Set. 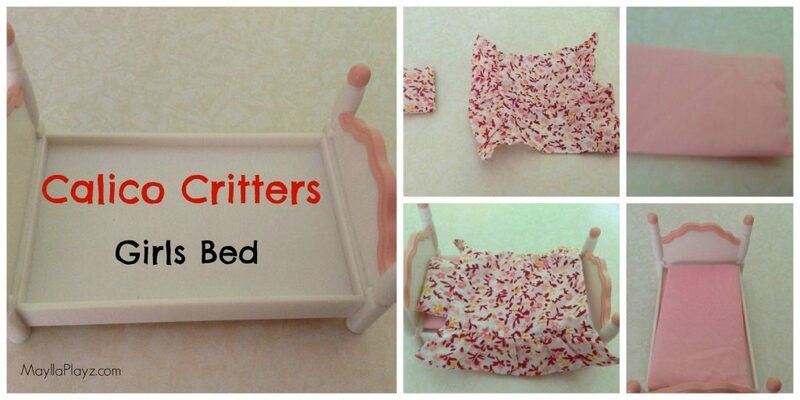 But you can always buy items individually to make the bedroom look as you would like. It is a single bedroom for a girl. And the details are divine. 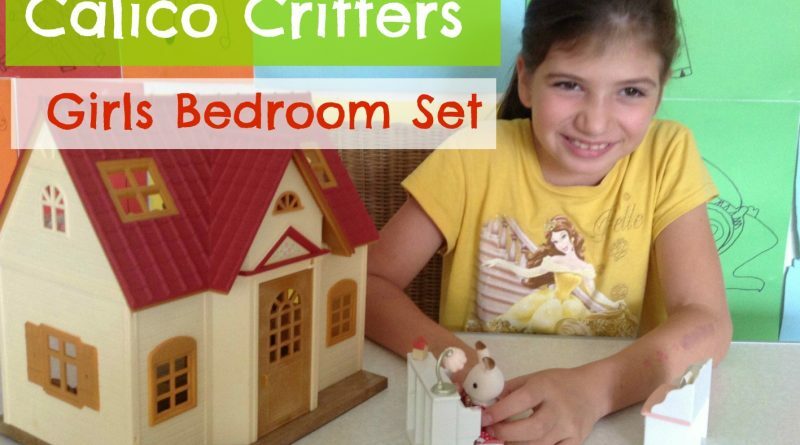 The Girls bedroom Set doesn’t come with any Critters, but you can use any critters you have or any character you have at home, even though it is not a Critter or Sylvanian Family. 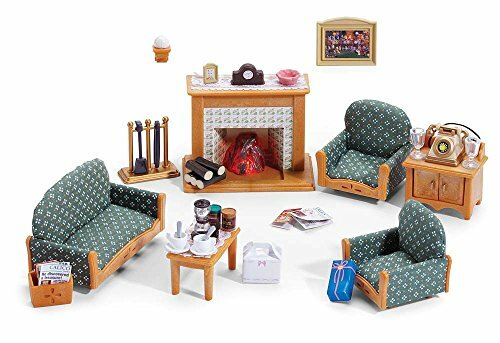 Yes, the furniture and accessories can be used with any character. There are additional stickers that you can stick on the books so they look like a book. 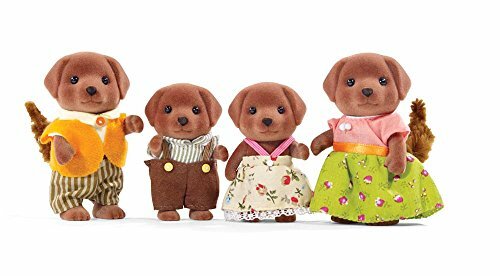 Did I tell you that there are adults collecting the Calico Critters Toy Set? 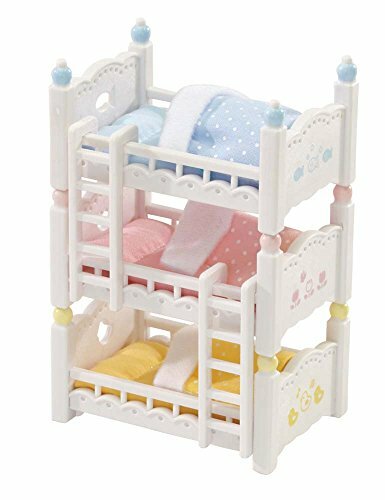 So this is a collection that your girls can continue into adulthood. 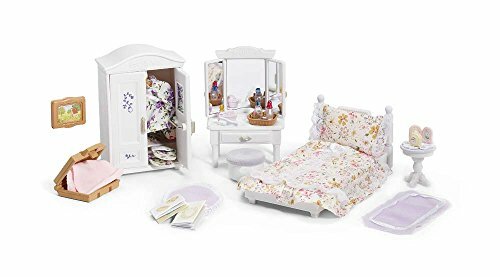 I have seen this Calico Critters girls bedroom set that comes with a closet and a vanity but no piano or desk. Depending on where you buy it, you will get different accessories, but you can always buy the specific item separately. For example here you can see the piano. Let’s start with the piano. 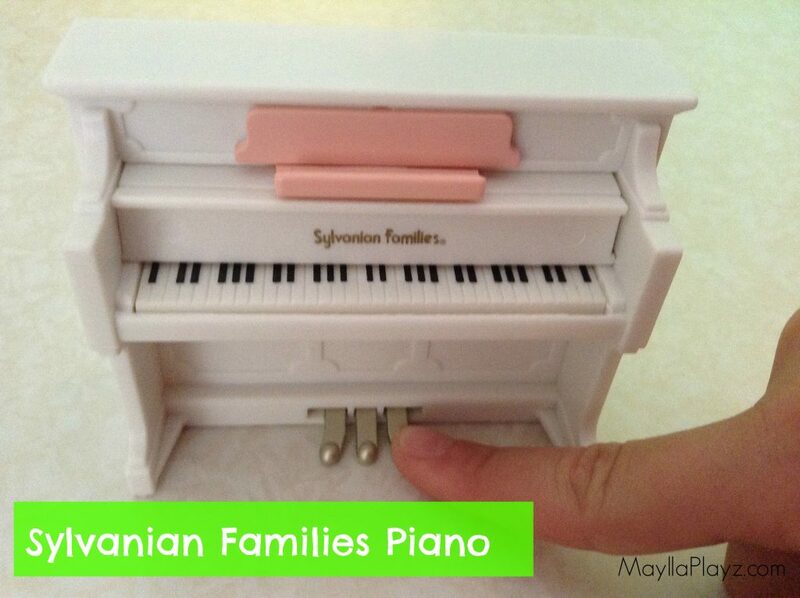 The piano we got is white and it has so much detail. The pedals at the bottom can be pushed down, all at the same time. The keyboard is real in the sense that the black keys are not painted, but they are actual keys on top of the white keys. You can push keys down, all keys will go down at the same time. Unfortunately, there is no sound, but that is expecting too much. 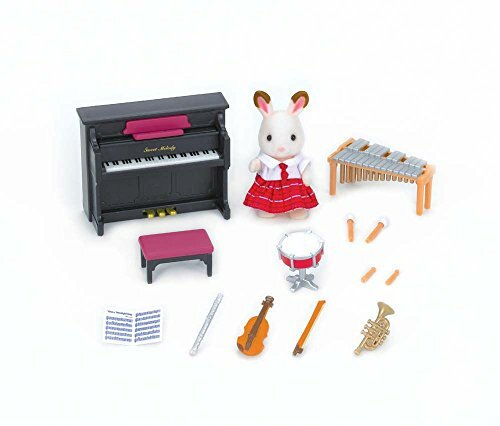 It also has a pink book rest, to place the music books. 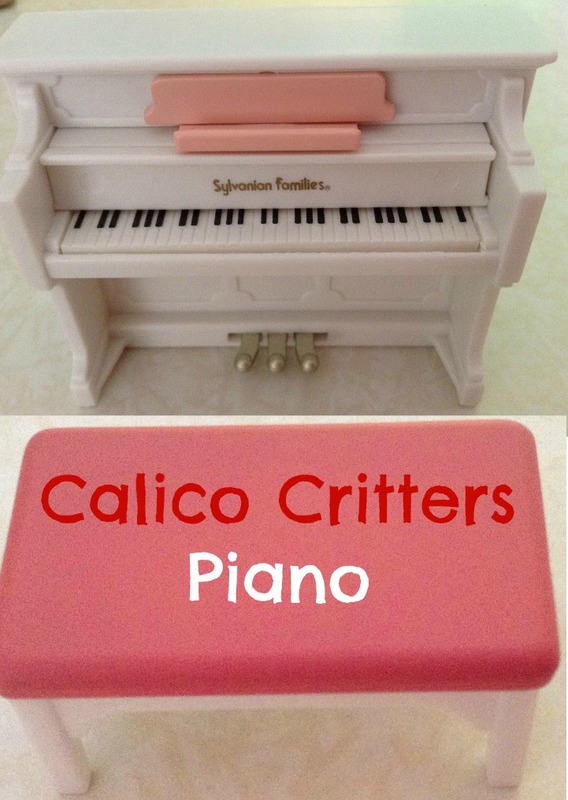 The piano comes with a pink and white cute stool. The stool doesn’t have storage space. 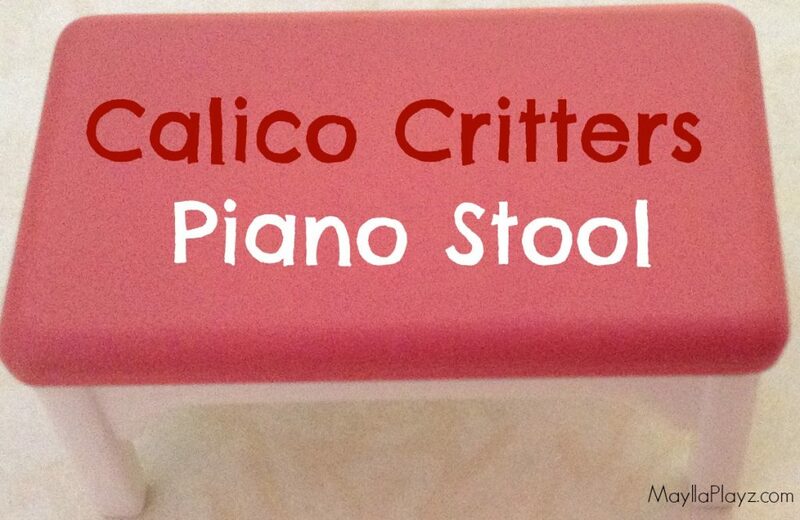 (it doesn’t open like most piano stools do). 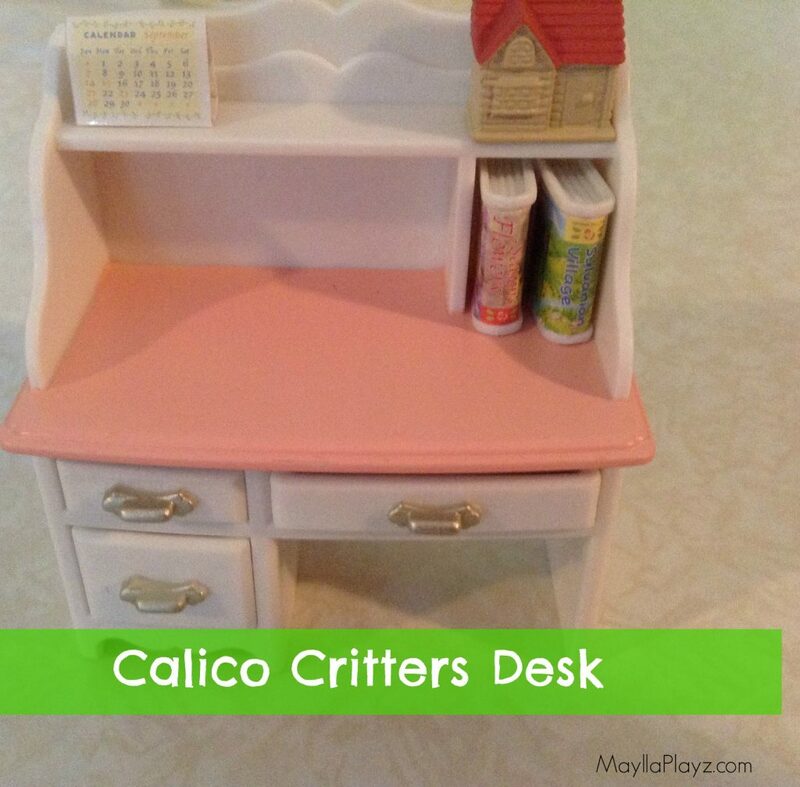 The Calico Critters Girls Room Set comes with a lovely desk. The desk is white and it has three drawers that can open and you can put things inside. The desk also has shelves on the upper part, and they are divided so you can place books if you wish. It also comes with a white and pink chair, but sadly we misplaced the chair. You could not have a desk without a waste basket and a lamp. Both have so much detail. Just a heads up, after I took the photo I left the lamp on a table and someone must have thrown something on top of it, and the lamp broke. Treat it carefully, it can break. There is a paper calendar that comes and you can fold and place on top of the desk. It also comes with two books, and some stickers to imitate the book cover. The books don’t open, but they are good enough for me. 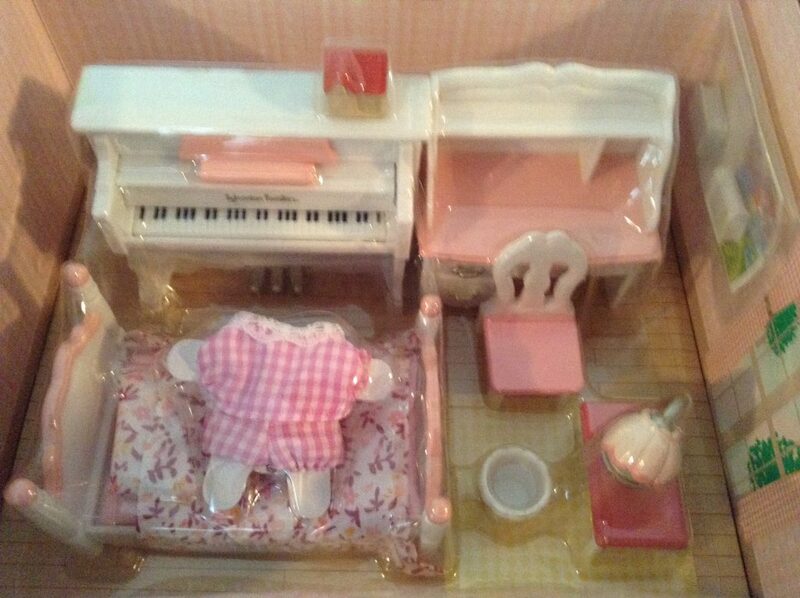 The cute bed of the Sylvanian Families Girls Bedroom Set is white and pink. 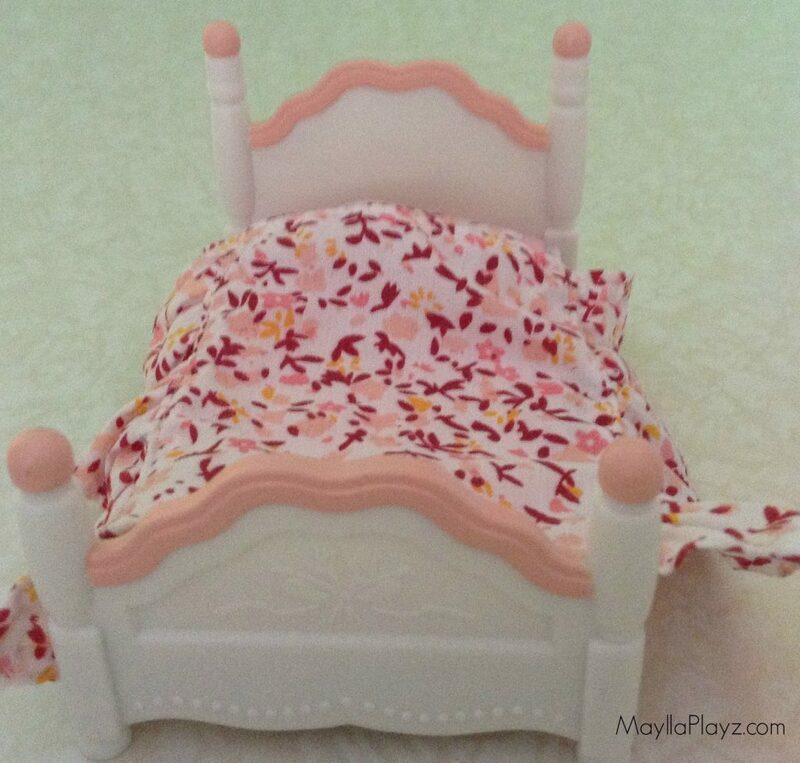 You can see the details on the image, The pink edges on the headboard and footboard of the bed are adorable. The bed comes with a pink thin mattress, a pink flowery bedspread, and pillow. Even though the mattress is so thin, the bed is very inviting. 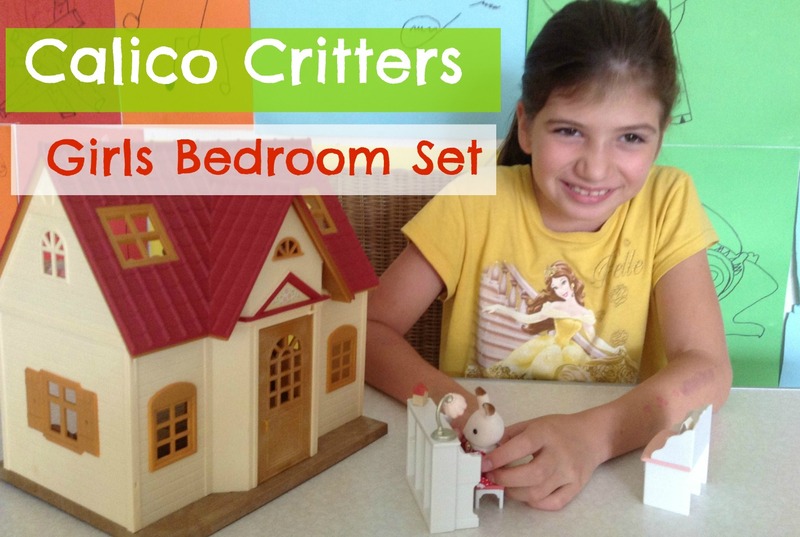 The set does not bring any calico critters, but it includes a summer pajama set in pink. See image. 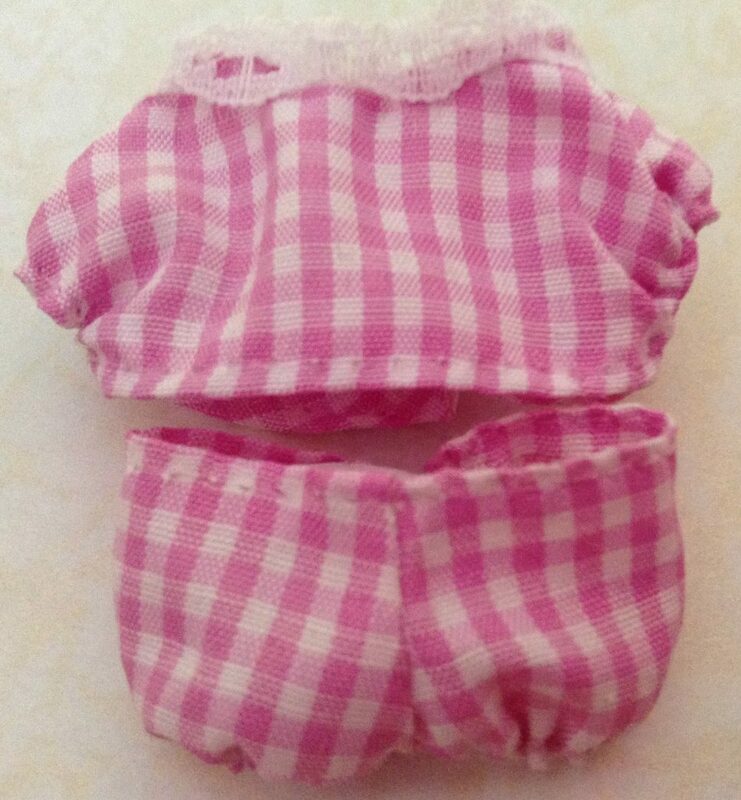 It was a bit difficult to fit a critter into the pajamas, but probably we use the bigger girl. If we had used smaller one we probably would have been okay. 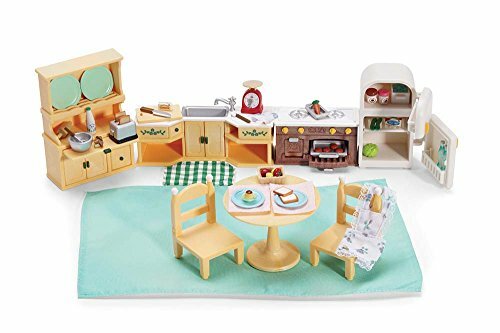 The box of the Calico Critters Bedroom set is divine. I mean so much detail. The box resembles the bedroom walls. The walls are pink, and it has the drawing of a clock and two pictures on it. This box will probably end up breaking, but it does not matter. 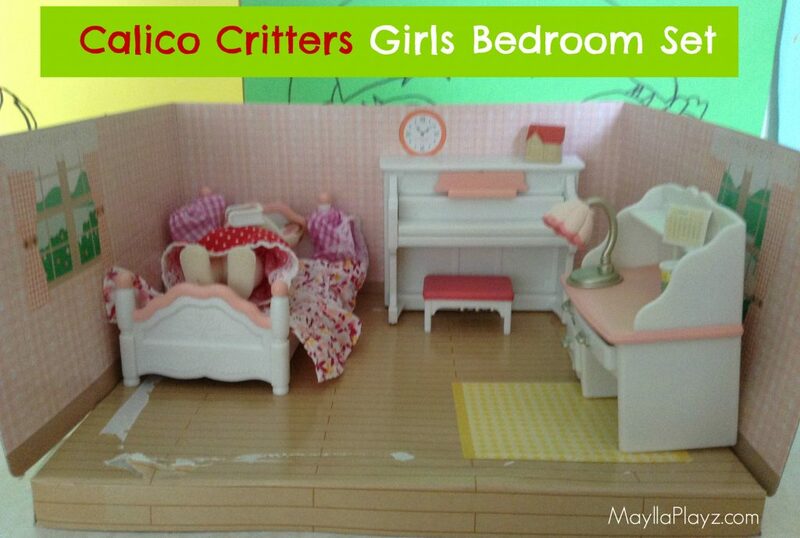 You can use the girls Bedroom Set with any Calico Critters House. 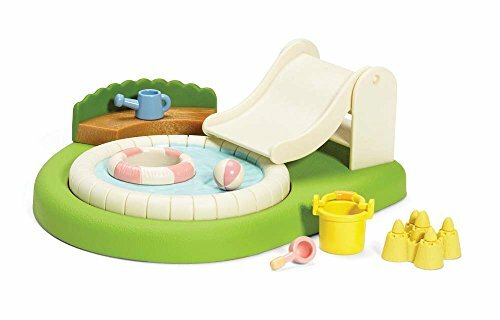 We are using it with the Calico Critters Starter home. 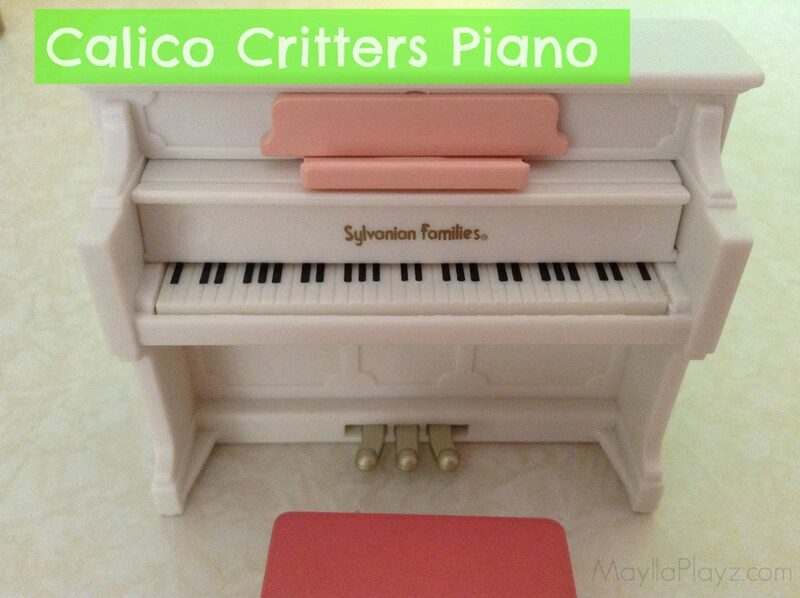 But you can also use it in any doll house, it doesn’t have to belong to the Calico Critters Or Sylvanian Families. 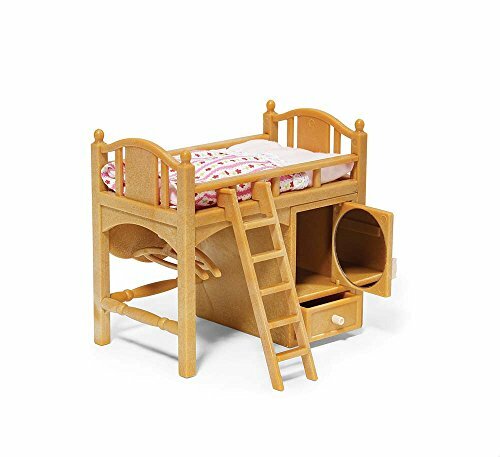 This bedroom set is probably for girls 4 and up, My daughter is almost 9 and she is playing with it. 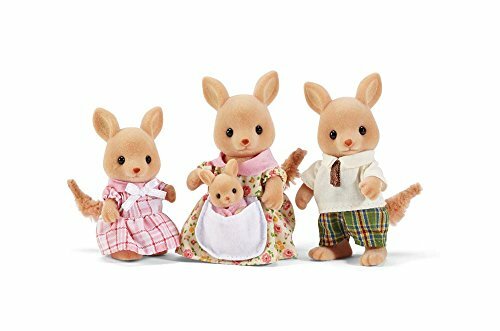 As long as they have imagination, the Calico Critters set will keep them entertained for hours. absolutely adorable! That piano is the best! 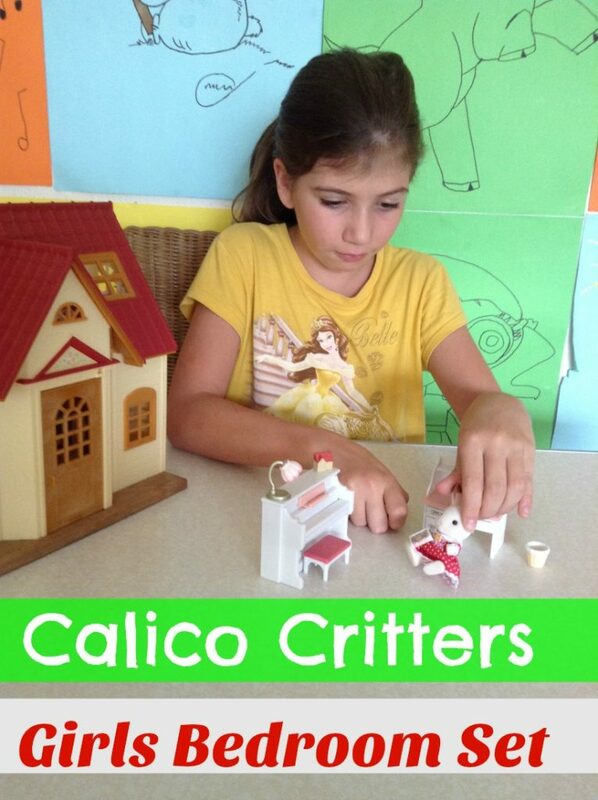 My daughters love playing with their Calico Critters! I agree with you. They are so cute. Thanks Tiffany for stopping by.